Make a scarf for your dog that has pom-poms on the ends! 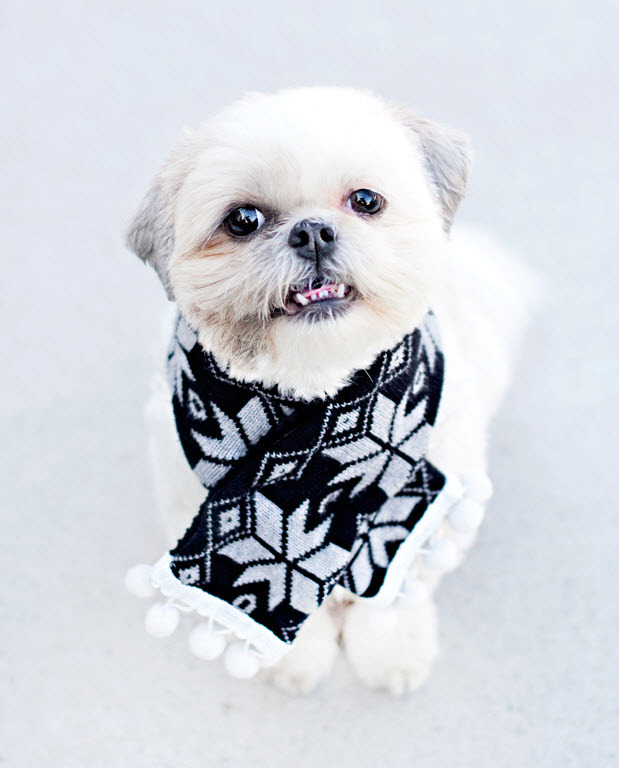 Determine the ideal scarf length for your dog. Cut a piece of fabric or an old sweater into the length needed and twice the width needed. Fold the piece of fabric in half lengthwise, then glue each of the edges shut. Cut pieces of pom-pom trim and glue it along each end of the scarf. Put the scarf on your dog, mark the locations where the scarf pieces cross, and attach Velcro fasteners at the crossing points to hold the scarf in place.